According to Ken’s reports, Cold Dark Matter (or CDM) is a theory that most of the material in the Universe cannot be seen (dark) and that it moves very slowly (cold). It is the leading theory that helps explain the formation of galaxies, galaxy groups and even the current known structure of the universe. One of the problems with the theory is that it predicts large amounts of small satellite galaxies called dwarf galaxies. These small galaxies are about 1000th the mass of our Milky Way but the problem is, these are not observed. If this theory is correct, then where are all of the huge amounts of dwarf galaxies that should be there? Enter professional star stream hunter, Dr. David Martinez-Delgado. David is the principal investigator of the Stellar Tidal Stream Survey at the Max-Planck Institute in Heidelberg, Germany. He believes the reason we do not see large amounts of dwarf galaxies is because they are absorbed (eaten) by larger galaxies as part of the galaxy formation. If this is correct, then we should find remnants of these mergers in observations. These remnants would show up as trails of dwarf galaxy debris made up mostly of stars. These debris trails are called star streams. Enter the star stream hunters professional team. The international team of professional astronomers led by Dr. David Martinez-Delgado has identified enormous star streams on the periphery of nearby spiral galaxies. With deep images he showed the process of galactic cannibalism believed to be occurring between the Milky Way and the Sagittarius dwarf galaxy. This is in our own back yard! Part of the work is using computer modeling to show how larger galaxies merge and absorb the smaller ones. Enter the team of amateurs led by R. Jay Gabany. David recruited a small group of amateur astrophotographers to help search for and detect these stellar fossils and their cosmic dance around nearby galaxies, thus showing why there are so few dwarf galaxies to be found. Dr. Carlos Frenk has been featured on several television shows on the Science and Discovery channels, to name a few, to explain and show some of these amazing simulations. He is the director of the Institute for Computational Cosmology at Durham University (UK), was one of the winners of the 2011 Cosmology Prize of The Peter and Patricia Gruber Foundation. And it requires very accurate depictions of studies. 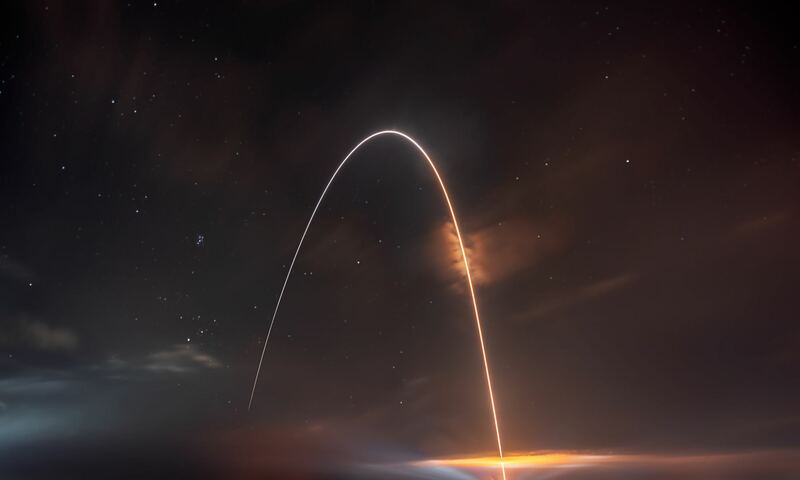 According to the team, this pilot survey was conducted with three privately owned observatories equipped with modest sized telescopes located in the USA and Australia. 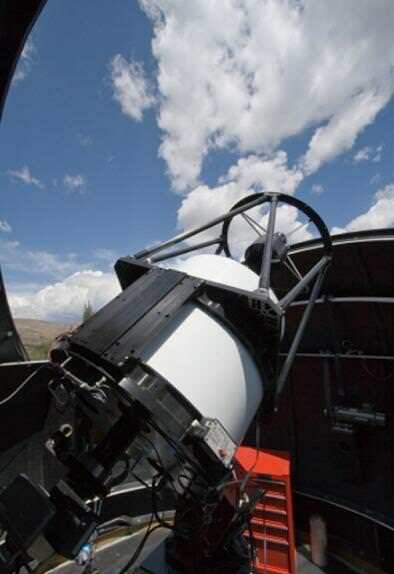 Each observing site features very dark, clear skies with seeing that is routinely at and often below 1.5 arcseconds. These telescopes are manufactured by RC Optical Systems and follow a classic Ritchey-Chretien design. The observatories are commanded with on-site computers that allow remote operation and control from any global location with highband web accesses. Each observatory uses proven, widely available remote desktop control software. Robotic orchestration of all observatory and instrument functions, including multiple target acquisition and data runs, is performed using available scripting software. Additional use of a wide field instrument was employed for those galaxies with an extended angular size. For this purpose, they selected the Astro Physics Starfire 160EDF6, a short focal length (f/7) 16 cm aperture refractor that provides a FOV of 73.7 × 110.6 arcmin. But, it’s more than just taking a photograph. The astrophotographer needs to completely understand what needs to be drawn out of the exposure. It’s more than just taking a “pretty picture”… it’s what matters. 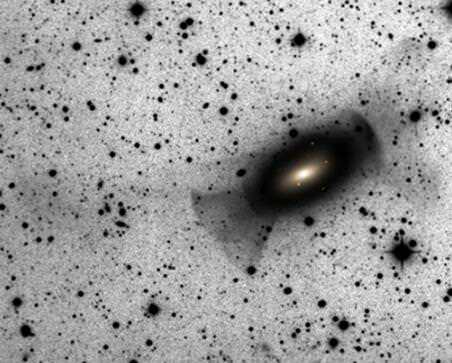 The formation of shell galaxies in the cold dark matter universe from Kenneth Crawford on Vimeo. For Further Reading: Tracing Out the Northern Tidal Stream of the Sagittarius Dwarf Spheroidal Galaxy, Stellar Tidal Streams in Spiral Galaxies of the Local Volume, Carlos Frenk, Simulations of the formation, evolution and clustering of galaxies and quasars, The formation of shell galaxies similar to NGC 7600 in the cold dark matter cosmogony, Star Stream Survey Images By Ken Crawford and be sure to check out the zoomable Full Size Image of NGC 7600 done by Ken Crawford. We thank you all so much for sharing your work with us! A unique galaxy came swimming into view of noted amateur astronomer R. Jay GaBany’s telescope, with gorgeous results! NGC 4631 in northern constellation of Canes Venatici is also known as the Whale Galaxy since it has the same profile shape as a large sea mammal. This starburst galaxy is about 25 million light years from Earth, and is about 140 thousand light years in diameter, just a tad larger than the Milky Way galaxy – and with a completely different shape, from our perspective, anyway. See a larger version and find out more about this image on Cosmotography.